Unit masonry, such as brick or sandstone, tends to leak and deteriorate at the joints, particularly after aging and exposure to weather. We provide expert comprehensive masonry repair. We tuck point mortar and apply clear penetrating sealers and waterproof grout, which greatly improves the life and appearance of exterior masonry. 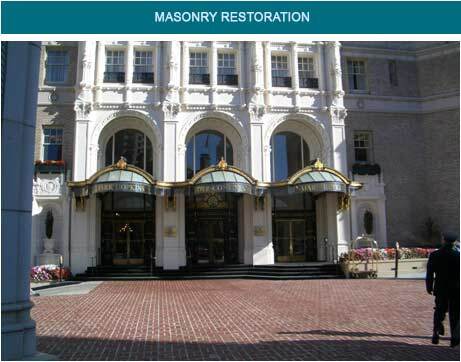 We have provided masonry restoration for many high-profile projects in San Francisco and the greater Bay Area.